Mold Inspection & Mold Testing in NJ, NYC, PA | 1-800-GOT-MOLD? Are you concerned that something in your home may be making you or your family sick? Many of our clients suffered for years with a hidden mold issue, resulting in illnesses like asthma, allergies, and chronic sinus problems, until we helped them get healthy again. We also have deep experience working with clients that have Lyme disease and chemical sensitivities, common issues among those with mold-related illnesses. Our success in solving these cases has been documented on Good Morning America, Extreme Makeover: Home Edition, the Dr. Oz Show and numerous other national programs. You can read what some of our customers have to say here, and also on our Google+ page. We have an A+ rating with the Better Business Bureau (BBB) too, of course. If you’re concerned about a mold problem, we’re the trusted, proven experts. Contact us today for a free consultation. We're here to help! We’ve been helping people detect, correct and prevent mold problems, restoring their health along the way, since 2003. Although mold can occur anywhere in a home where there is a moisture problem, in our region, the most common issues occur in finished basements, crawlspaces and attics. When you think you may have a mold problem, can you really rely on the ethics of a mold remediation contractor to do a free mold inspection, when they only get paid when if they find something to remediate? Not only is it a conflict of interest to do mold inspections and black mold removal, it’s also illegal in some states! Would you trust your local home inspector with something like this? When you’re concerned about your health, your family and the value of your home, you need to work with someone you can truly rely on, who has specialized experience. You need an expert. Give us a call today. You'll be glad you did! Protecting your family is your top priority. It’s ours too. Are you concerned about hidden mold? That’s our specialty. Help alleviate suffering from asthma, allergies AND chronic sinus problems. 1-800-GOT-MOLD? offers New Jersey mold inspections, mold assessments, mold testing and mold remediation consulting in NJ, NYC and Southeast PA. We have successfully served thousands of customers in New Jersey, New York City and southeastern Pennsylvania since 2003. A 1-800-GOT-MOLD? NYC mold inspection is your best assurance that your mold problem, if you have one, will be found, and that any needed mold remediation will be done correctly and safely - if you choose to retain us as your advocate to help choose a qualified mold remediation contractor and perform final mold testing. We don't do the mold remediation or mold removal, we help you get this done right, so you can get on with your life. Returning your home to its normal condition, where you and your family will once again breathe with peace of mind, is always our primary goal. Indoor mold growth often is associated with illness, such as allergies, asthma, chronic sinusitis (sinus infections), headaches and even depression. In fact, many of our customers are referred to us by their physicians. Even though black mold, or what some people call toxic mold, has a scary reputation, it doesn't matter what types of mold you might have, if it's growing inside your home, it's bad for your indoor air quality. There is no such thing as good mold growth in your home, unless it’s on the brie in your fridge. 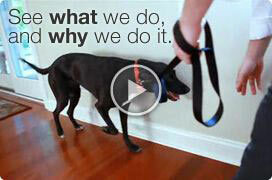 Our use of mold dogs and infrared technology helps us find hidden mold that conventional methods will miss. 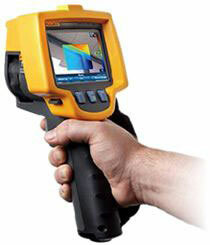 Anyone can find visible mold, and most air tests for mold come up short. We find the mold that doesn't want to be found. Mold toxins and mVOCs (volatile organic compounds) produced by fungi, which is the musty odor, can affect your health even when mold is not visible. Any kind of water damage, roof leak , window leak, flashing leak, basement flood, plumbing leak or ventilation problem can lead to a potentially devastating mold problem in your home. Speed is of the essence in locating the mold. But it doesn’t stop there. At your request, we then write a remediation plan, otherwise known as a scope of work, and see it through to a successful mold remediation - and a normal life for you. The majority of our New Jersey mold inspections have taken place in Mercer, Middlesex, Hunterdon, Bergen, Monmouth, Essex, Somerset, Ocean and Union counties, while Manhattan is the heart of our NYC work and Bucks County is where most of our PA mold inspections have occurred. We offer mold testing, mold inspections, and remediation consulting services in these New Jersey, New York City, and Pennsylvania locations. "A simple, ancient remedy helps sinus problems"